3. With your facebook personal profile, you can have up to 5000 friends maximum. However, for a Fan Page you can have unlimited number. 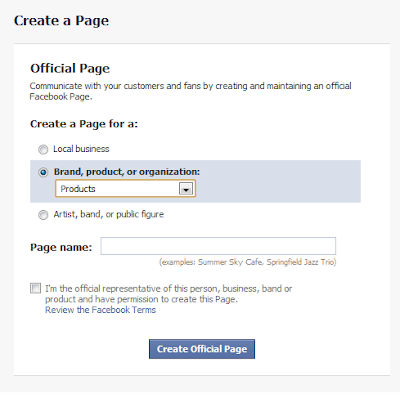 Choose your brand, products or organization, enter your Page name and create page. 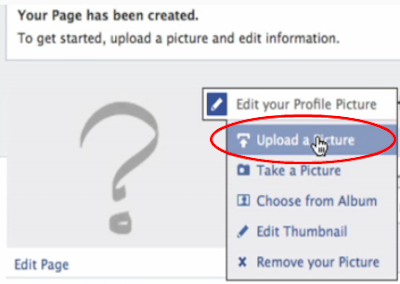 Upload your picture such as your business logo. Click on the "Info" tab and then"Edit Information". Enter your basic and detailed information of your business. 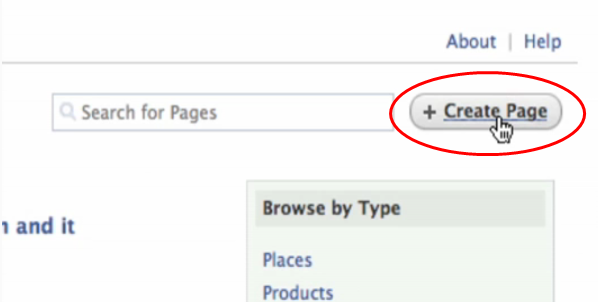 "Save" the page after entering your business information and Click on "Suggest to Friends". Start promoting and inviting friends/customers/prospects/business associates to your Business Fan Page and watch the number of fans increases. 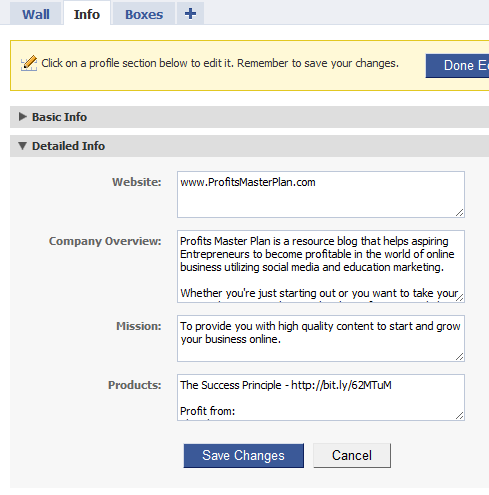 You can also include your Business Fan Page link in your email "Signature". If people like your products/services, you should see them commenting and referring one another to your business.